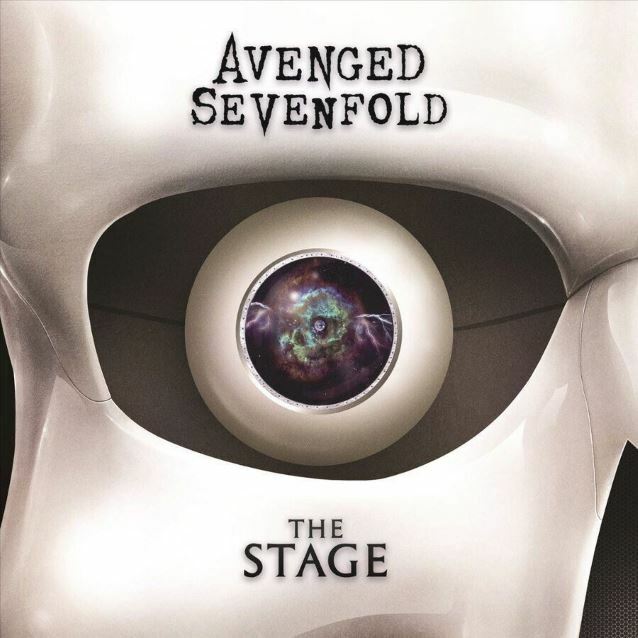 AVENGED SEVENFOLD's new single called "The Stage" has just been released and can be streamed in the YouTube clip below. The song, which is also available on Spotify, is expected to appear on the band's long-awaited new album, rumored to be titled "Voltaic Oceans" and possibly slated to drop on December 9. The band has launched a new web site which features a Deathbot to which fans can address questions. According to The Pulse Of Radio, typing in "Voltaic Oceans" gets this response: "I bet you feel like the smartest ape." But if you enter "new album," the Deathbot reveals that the official answer will be revealed during a special live event on October 27. AVENGED SEVENFOLD has definitely been building up to some kind of announcement or event, as the band's mascot, the Deathbat, has been mysteriously appearing around the world. Guitarist Zacky Vengeance told The Pulse Of Radio that AVENGED SEVENFOLD is always looking ahead to the next project. "Our sights are always set so far in advance, you know, we're always looking at what the future holds for us and how to put on an even better show, a bigger show...I want generations of fans," he said. "I want fans to someday be bringing their children. We still have a lot of work to do and a long way to go, in our humble opinion." The band's seventh studio album will be released through Capitol Records, following the band's termination of its contract with Warner Bros. Records earlier this year. The label sued the group in January for breach of contract, claiming the band owed it another studio effort and a live set on its existing deal. 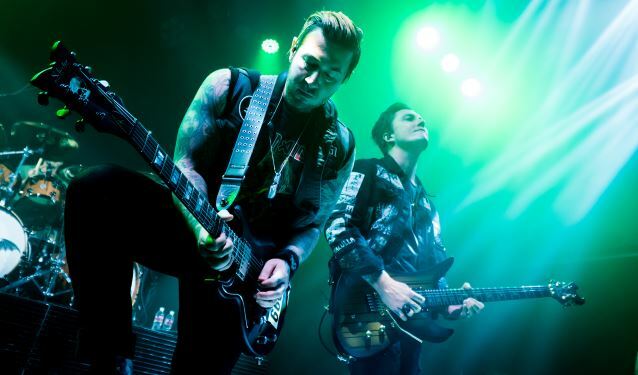 AVENGED's previous two releases, 2013's "Hail To The King" and 2010's "Nightmare", both topped the Billboard album chart. The band will perform at Knotfest Mexico in Mexico City this Saturday (October 15).